Read Schuco windows reviews from consumers and contractors who know their products and customer service record. Schuco no longer sells windows in the residential market, although they do still sell to commercial builders. 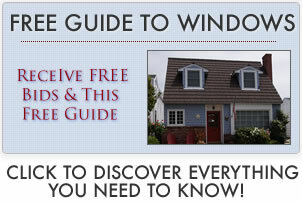 Homeowners who have issues with their Schuco home windows have little recourse through the product warranty. Schuco began selling windows in the U.S. around 1998 when they bought a company called Homecraft. They sold through retail locations (more typical in Europe, but not the U.S) and, after a handful of years, decided this was not a good business move. The reason was that some homeowners had performance issues with the product; the result in many cases of improper installation. The company then adopted the American model of selling through dealer distribution channels or local window companies. The Schuco experience illustrates what seems to be the case of many well made, high end products that when improperly installed created problems for homeowners. The lesson to be learned is to make sure your replacement windows are installed by competent contractors or authorized installers. There was definitely some backlash against Schuco by customers and dealers when they decided to stop selling residential windows — mainly because many felt that Schuco continued to sell the windows without telling either the dealers or customers that they intended to cease residential sales. They might not be the most famous windows on the market but Schuco is one of the best. I’m always glad when I see a job with these. I know I won’t have any problems. Schuco is one of the biggest manufacturers in the world and they’ve been around longer than I’ve been alive. Schuco makes some of the best models for energy efficiency, with U-factors as low as 0.20. The Thermoplastic glaze makes seal failure a thing of the past. These are by far one of my favorites to work with. They are always well-made, and the few times I’ve run across one with damage they were quick to take care of things. The only thing better than their windows is their customer service. Over ten years ago we had our whole house re-windowed using Schucos. For a long time we didn’t have any problems and we were rally happy with them. Then a few months ago the latch on our patio door broke and we couldn’t reach anyone at Schuco to fix it. The office nearby is closed and I don’t know who else to call. It turns out that they went out of business, at least as far as being able or willing to service their products. We have Schucos in both our home and lake house. They look great and we’ve been totally happy. Our energy bills at both homes lowered a lot and we don’t have to run the home air conditioning system nearly as much. There was some minor leaking with the first severe storms but that was easily fixed. They sent a guy out to do some caulking and it was done in a couple of hours. We haven’t had any issues since. We haven’t had any other problems and it’s been over 12 years since we put them in.